In addition to enabling a clean and energy efficient future, alternative fuel sources are fast becoming a necessity for meeting today's growing demands for low-cost and convenient energy. The Handbook of Alternative Fuel Technologies offers a thorough guide to the science and available technologies for developing alternatives to petroleum fuel sources and petrochemical feedstocks. We are hearing a LOT about renewable energy these days! 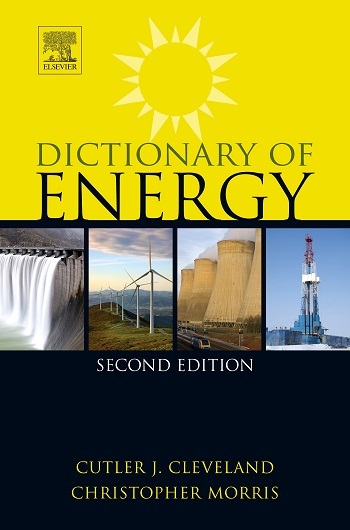 But unlike most available resources on alternative energy that focus on politics and economic impacts, da Rosa's practical guide, Fundamentals of Renewable Energy Processes, is dedicated to explaining the scientific and technological principles and processes that enable energy production from safe, renewable, clean sources. In 1961, President John F. Kennedy ignited America’s Apollo Project and sparked a revolution in space exploration. Today the New Apollo Energy Project is poised to revolutionize the production of energy and thereby save our planet. The nation that built the world’s most powerful rockets, its most advanced computers, and its most sophisticated life support systems is ready to create the world’s most powerful solar energy systems, its most advanced wind energy turbines, and its most sophisticated hybrid cars. This will result in nothing less than a second American Revolution. Who are the dreamers in California who believe they can use mirrors and liquid metal to wring more electricity from a ray of sunshine than anyone else on earth can? Renewable Energy Policy takes a pragmatic, nuts-and-bolts look at the myriad government efforts to promote renewables, and reports back on what works, what doesn't, and why. In clear, jargon-free language, Renewable Energy Policy shows how and why some policies have achieved impressive results, and others have failed. Skillfully interweaving technology, economics, and politics, Paul Komor reveals how the best of policy ideas often end up with unintended results. Air quality is deteriorating, the globe is warming, and petroleum resources are decreasing. The most promising solutions for the future involve the development of effective and efficient drive train technologies. This comprehensive volume meets this challenge and opportunity by integrating the wealth of disparate information found in scattered papers and research. This essential new title provides a contemporary overview on a major key topic of the 21st century. Written by well known scientists in the area who discuss the topic soberly and without ideology, they focus on how photovoltaic, solar power, wind power, hydropower, geothermal energy, fuel cells, and hydrogen enterprise work. Presented in full-colour with catchy information diagrams and information boxes. Fuel cell technology is the most exciting and legitimate alternative source of power currently available to us as world resources of non-renewable fuel continue to be depleted. No other power generating technology holds the same benefits that fuel cells offer, including high reliability and efficiency, negligible environmental impact, and security of supply. Fuel cells run on hydrogen – the simplest and most plentiful gas in the universe - although they can also run on carbon monoxide, methane, or even coal. Their applications are diverse, from powering automobiles, buildings and portable electronics, to converting methane gas from wastewater plants and landfills into electricity. As energy demands continue to surge worldwide, the need for more efficient and environmentally neutral energy production also becomes increasingly apparent. Renewable Resources and Renewable Energy: A Global Challenge presents a well-rounded perspective on the development of bio-based feedstocks, biodegradable plastics, hydrogen energy, fuel cells, and other aspects related to renewable resources and sustainable energy production. The world’s overdependence on fossil fuels has created environmental problems, such as air pollution and global warming, as well as political and economic unrest. With water as its only by-product and its availability in all parts of the world, hydrogen promises to be the next great fuel source. Smart Grid covers smart grids from A-Z, providing a complete treatment of the topic, covering both policy and technology, explaining the most recent innovations supporting its development, and clarifying how the smart grid can support the integration of renewable energy resources. Brought to you by the creator of numerous bestselling handbooks, the Handbook of Energy Efficiency and Renewable Energy provides a thorough grounding in the analytic techniques and technological developments that underpin renewable energy use and environmental protection. The handbook emphasizes the engineering aspects of energy conservation and renewable energy. Taking a world view, the editors discuss key topics underpinning energy efficiency and renewable energy systems. They provide content at the forefront of the contemporary debate about energy and environmental futures. This is vital information for planning a secure energy future. Biomass Gasification Design Handbook offers engineers and scientist a "hands on" reference for understanding and successfully overcoming these hurdles. In this book, readers find a versatile resource that not only explains the basic principles of energy conversion and biomass conversion systems but also provides valuable insight into the design of biomass gasifiers. Energizing our Future surveys and analyzes in considerable depth the present and future economic and technical viability of oil, natural gas, coal, synthetic fuel, nuclear, hydrogen, solar, biomass, wind and less well-known potential energy sources in the context of real-world production, distribution, and environmental constraints. For example, the authors carefully and factually debunk the myth, perpetuated by Lovins, Rifkin and others, that we are "running out of oil." Demonstrating the feasibility of a clean, renewable global energy future, Post-Oil Energy Technology: The World’s First Solar-Hydrogen Demonstration Power Plant describes the detailed design of the first 1,000 megawatt solar power plant with hydrogen storage. The search for clean, renewable energy sources has yielded enormous growth and new developments in these technologies in a few short years, driving down costs and encouraging utilities in many nations, both developed and developing, to add and expand wind and solar power capacity. The first, best-selling edition of Wind and Solar Power Systems provided the most complete and modern treatment of renewable energy. This second edition continues the tradition by offering updated and expanded coverage of this growing field. Offshore Wind is the first-ever roadmap to successful offshore wind installation. It provides a ready reference for wind project managers, teaching them how to deal with complications on-site, as well as for financers, who can utilize the text as an easy guide to asking the pivotal questions of petitioning wind project developers. This book fills the gap for concise but comprehensive literature on this interdisciplinary topic, involving chemical, physical, biological and engineering challenges. It provides broad coverage of the most important fields of modern hydrogen technology: hydrogen properties, production, storage, conversion to power, and applications in materials science. In so doing, the book covers all the pertinent materials classes: metal hydrides, inorganic porous solids, organic materials, and nanotubes. The authors present the entire view from fundamental research to viable devices and systems, including the latest scientific results and discoveries, practical approaches to design and engineering, as well as functioning prototypes and advanced systems. Fuel cells are advanced energy conversion and power generation systems with inherent high-energy conversion efficiency and environmentally-friendly operation. Fuel cells offer a realistic answer to the world's urgent need for pollution-free and efficient power. They represent an increasingly vital issue to engineers, the transportation industry and government. Fuel cells can achieve zero emission, and meeting the toughest emission standards; they are compatible with renewable energy sources and carriers with sustainable development. Due to their interdisciplinary nature, fuel cells involve and require knowledge of engineering thermodynamics, chemical thermodynamics, electrochemistry, mass transfer, heat transfer, fluid mechanics, manufacturing and design, engineering optimization, materials science and engineering, chemistry and chemical engineering, and electrical engineering. Wind powered generation is the fastest growing energy source in the United States due to a combination of economic incentives, public preference for renewable energy as expressed in government policies, competitive costs, and the need to address global warming. 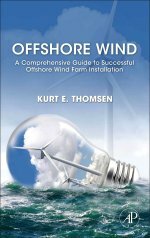 In this practical guide, globally recognized renewable energy researcher and professor Henrik Lund describes the modeling and simulation techniques that can be utilised to ensure at the outset of any renewable energy project that the resources available will meet supply demands. A clear, comprehensive methodology is set forth for comparing different energy systems' abilities to integrate fluctuating and intermittent renewable energy sources. Cereal Straw as a Resource for Sustainable Biomaterials and Biofuels examines straw chemistry in its entirety, Cereal Straws describes the recent development of techniques for fractionation of and conversion to environmental friendly materials. Newly revised, the second edition of this pioneering work addresses emerging factors affecting energy production and use, including the availability and desirability of various fuels. This timely book is the first dedicated to Microbial Fuel Cells. It not only serves as an introduction to the theory underlying the development and functioning of MFCs, it also serves as a manual for ongoing research. In addition, author Bruce Logan, a leading pioneer in MFC research and development, provides practical guidance for the effective design and operation of MFCs based on his own firsthand experience. Wind energy is a reliable, natural and renewable electrical power supply. The high installed capacity of today’s wind turbines and decreasing plant costs have shown that wind power can be competitive with conventional, more heavily polluting, fuels in the long term. Focusing on the electrical engineering aspects of wind energy, this completely revised edition provides a detailed treatment of electrical and mechanical components and their interdependency, power control and supervision in wind power plants, and the grid integration facility. The book incorporates all the recent technical developments in electrical power conversion systems and essential operating conditions. In just the last few years, the increase in worldwide photovoltaic (PV) shipments has grown from 15 to 25 percent per year. Grid-connected applications have surpassed stand-alone applications, system components have realized significant improvements, and major efforts are underway to build a quality control infrastructure for PV systems. Such rapid growth and evolution continues to put engineers skilled in PV systems at a premium. In this fourth edition update, new material includes expanded coverage of biofuels, solar conversion, biomass and fuel cells, storage and transmission, and a new chapter on integrated technologies to introduce the hybrid systems now being explored. New surveys and the most recent research findings are included throughout. Energy Revolution examines the policy options for mitigating or removing the entrenched advantages held by fossil fuels and speeding the transition to a more sustainable energy future, one based on improved efficiency and a shift to renewable sources such as solar, wind, and bioenergy. 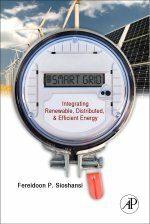 This book offers a unique insight into the corporate health of energy companies in an evolving landscape of deregulation. Cutting across both historical and present-day situations, it demonstrates important elements vital to the success of energy companies coming out of a safe regulated structure and dealing with a new competitive environment.